I'm sure you've been watching him play, and win with his team the Golden State Warriors. You're also looking forward to see him beat the Cavaliers one more time to sweep the whole playoffs, which is statistically going to be possible at this point. Perhaps, be the champion of this season. Now Stephen Curry is not only busy with basketball. Everytime there's a chance, he takes some photos of his lovely wife, his kids, his friends and even his team mates. You can see them all being shown on his Instagram account. Even if he's just gone out of the gym, or take shots while he's just lounging at home, he's not scared to show his skin, nor be conscious about it. The phone he used since last year is the V5 Plus, and with the launch of the new V5S, he's happy to note that he's not going to have problems taking group selfies with it as he uses the 20 Megapixel front camera to take Panoramic Panning shots of himself and the people around him. This is the Group Selfie technology that Vivo has been pushing since the launch of the Vivo V5s. Now those memories with friends and family would mean a little bit more because no one will be left behind when they're taking a group shot. It's a problem that I personally have especially when I'm with friends and I'm the tallest guy, I couldn't fit them all in the frame, and they also make me the human selfie stick since I'm the tallest one. Ever had that problem? That's exactly what Vivo wants you to know, there's a solution and it doesn't have to be super expensive either. You can get great hardware at the price better than it's competitors. No matter how weird that sounds, it makes sense. 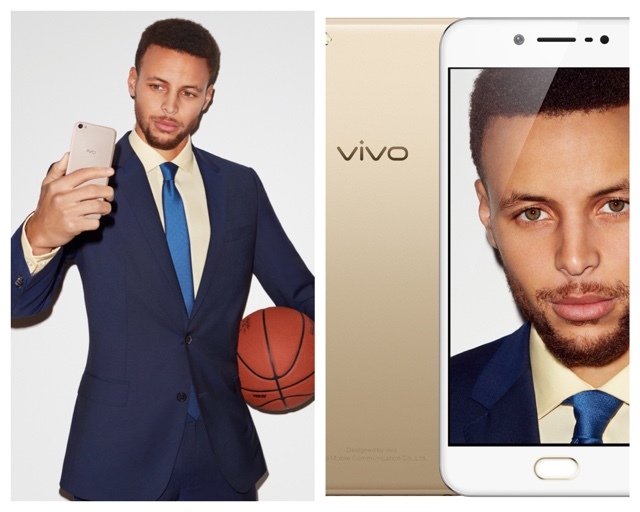 While Steph is happy with this feature, he can't help but support Vivo in their in their quest to give quality product offerings. This phone isn't the last one on their belt, there will be more, even greater ones so you just wait! If you want to get ahead of the pack and know more about their phones, go to Facebook.com/vivophil or follow them on IG and Twitter @vivophil today!